Andre Villas-Boas says he isn't lining up a move for Everton's Jack Rodwell. The Blues have been heavily linked with a move for England international Rodwell recently, with reports indicating they were weighing up a £20m move for the 20-year-old. Everton boss David Moyes denied there was any truth to the rumours and Villas-Boas has now clarified Chelsea's position on Rodwell, claiming he isn't looking towards any new midfielders in January. 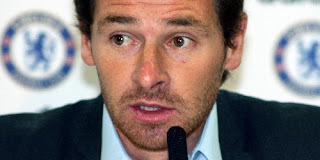 "I saw that we'd been linked with him," Villas-Boas said. "First, it's important to clarify that it's unfair that I constantly comment on other players. In midfield, we don't need players. Rodwell has been playing there this season. Midfield is not a sector where we're desperate to strengthen our squad. So at the moment those stories are false."